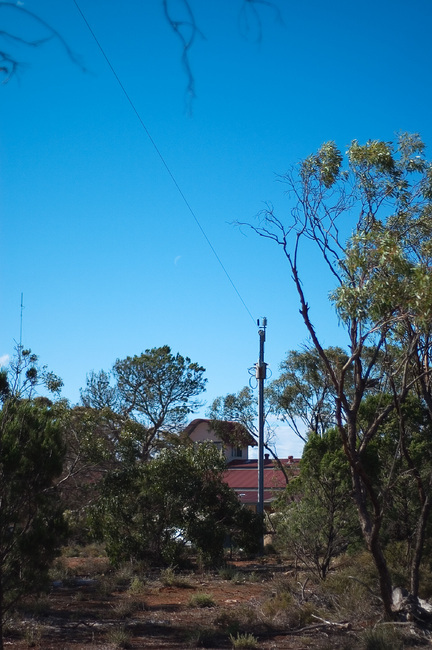 The visitor centre at the Monarto Zoo gets its mains power via a Single Wire Earth Return (SWER) system — a common sight in rural Australia, supplying everything from farmhouses to lighthouses. Find out more about SWER at ruralpower.org. Theen and Michael took the bus tour around Monarto (an open-range zoo) — I wasn't in the mood, so I went for a walk along one of their walking trails. Details: Nikon 50mm 1:1.8D, f/1.8, 1/6400s, ISO 200.